The world's most famous steam locomotive 'Flying Scotsman' visited the Keighley and Worth Valley during April 2017. This was the first appearance of the engine at the Keighley & Worth Valley Railway since returning to steam in 2016 at the cost of £4.5 million. 'Flying Scotsman' was purchased in 2004 by the National Railway Museum. The engine was removed from service in 2006 and the 10 year long overhaul commenced at York. Intended to only take a couple of years, the engine was found to have several problems which took longer and more money to resolve. 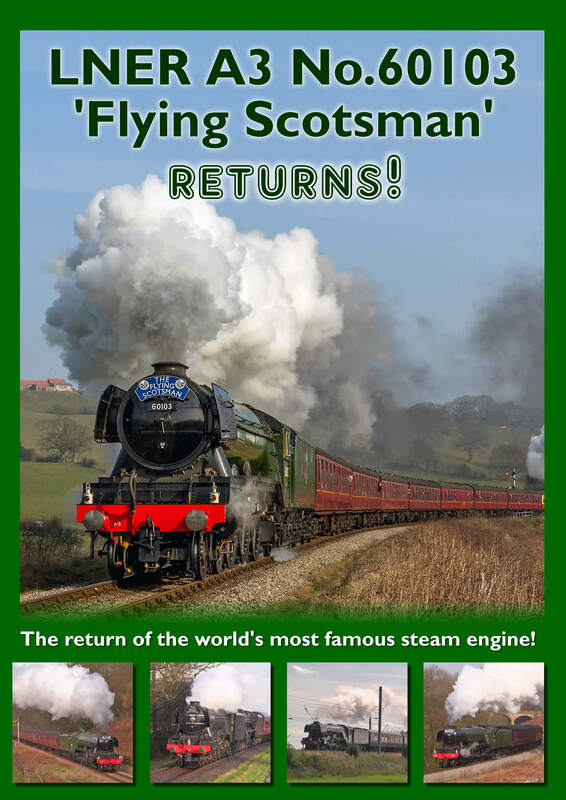 'Flying Scotsman' returned to steam for the first time in January 2016 and has since drawn large crowds whilst travelling around the UK. 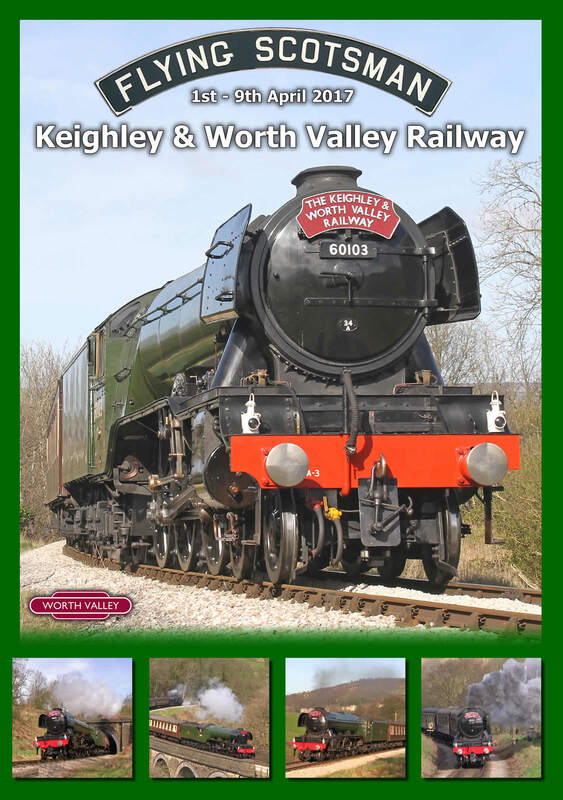 Friday 31st March 2017 marked the re-opening of the famous Settle & Carlisle Railway, to mark the occasion the Keighley & Worth Valley Railway ran a charter service from Oxenhope to Carlisle and return using LNER A3 No.60103 'Flying Scotsman'. Leaving from Oxenhope Station at 08:30am, 'Flying Scotsman' joined the mainline at Keighley and headed north to Carlisle. 'Flying Scotsman' is seen at Birkett Common and leaving Hellifield on the return trip of the journey. Over the 1st and 2nd April 2017, 'Flying Scotsman' was placed on static display at Ingrow Yard allowing visitors to get up and close with the engine. The railway was a hive of action as BR 8F No.90733 and BR 4MT No.75078 took the strain and hauled services between Keighley and Oxenhope. The resident Class 101 DMU also hauled a shuttle service between Keighley and Ingrow West. Between the 3rd and 9th April, 'Flying Scotsman' hauled services along the 5 mile branch from Keighley to Oxenhope. Due to the increased length of the trains, services were banked by BR 8F No.90733. Footage is included from throughout the seven days of 'Flying Scotsman' hauling services along the Worth Valley Railway, this includes a large variety of locations from along the 5 mile route, showcasing the engine from most angles the Worth Valley has to offer. Alongside the sold out 'Flying Scotsman' services, another passenger service ran each day connecting passengers between stations. Throughout the week this service was handled by LMS 4F No.43924, for the weekend services the engine was swapped for BR 4MT No.75078. Our Blu-Ray disc features footage of this service at a wide collection of locations, allowing you to savour the whole action from throughout the week. 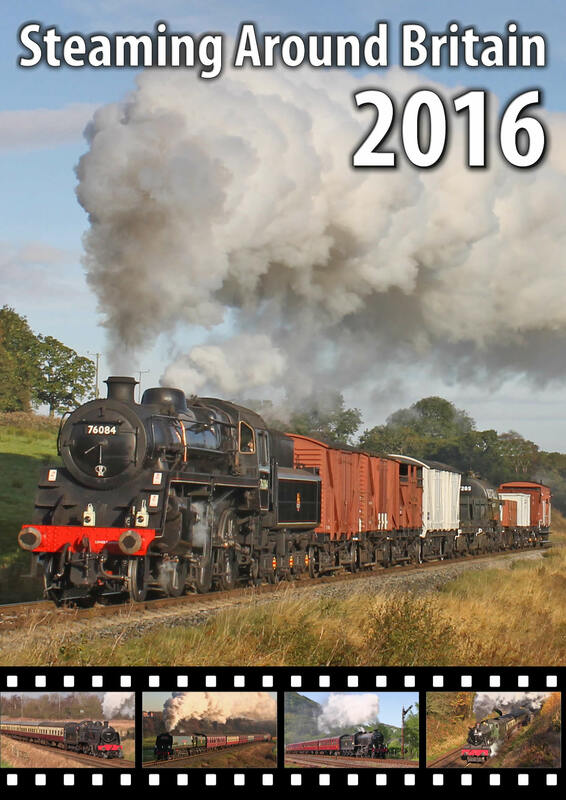 Our 69 minute Blu-Ray disc features footage from throughout the 9 day visit of the world's most famous steam engine. Footage is featured from the first weekend whilst 'Flying Scotsman' visited Ingrow Yard, including all the action from around the railway. 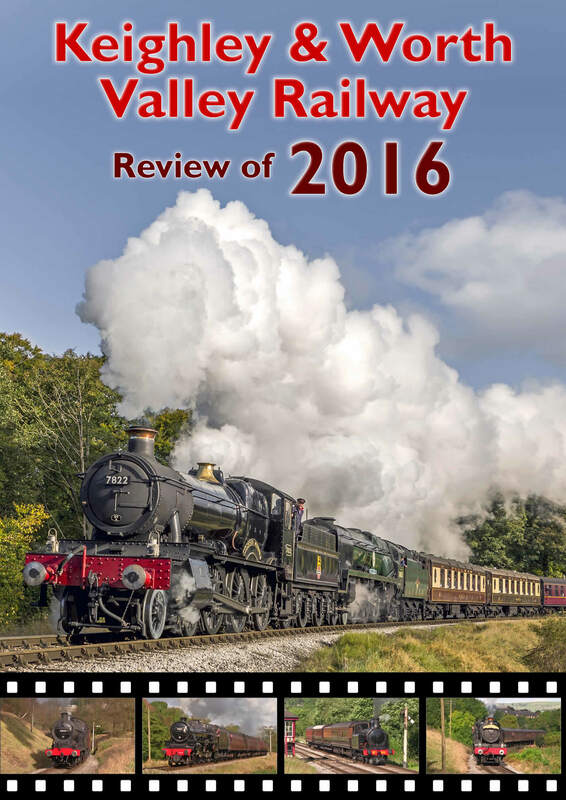 Sit back and enjoy the sight and sound of sole surviving A3 pacific tackling the Worth Valley route, starting with Keighley and working our way up the valley, taking in the picturesque views the Keighley & Worth Valley Railway has to offer. Extensive footage is included from locations along the railway, showcasing the engine from most angles the railway has to offer. The Blu-Ray disc lasts approx. 71 minutes. The Blu-Ray is available in 16:9 Widescreen format only. The Blu-Ray is available for £14.95 which includes free P&P. Below is a short trailer with some clips taken from the Blu-Ray Disc, please note due to upload restrictions the quality of the trailer may not reflect that of the Blu-Ray Disc.